The South Asian Suburbanisms cluster co-organized an international workshop titled, "Tracking Transformations in Agrarian-Urban Hinterlands of South Asia.” The workshop was held from February 23 to 25, 2017 at the Convention Center in Jawaharlal Nehru University (JNU), New Delhi. It was collaboratively organized by the Center for Political Studies, Jawaharlal Nehru University, New Delhi, and Jindal School of Governance, Sonepat. 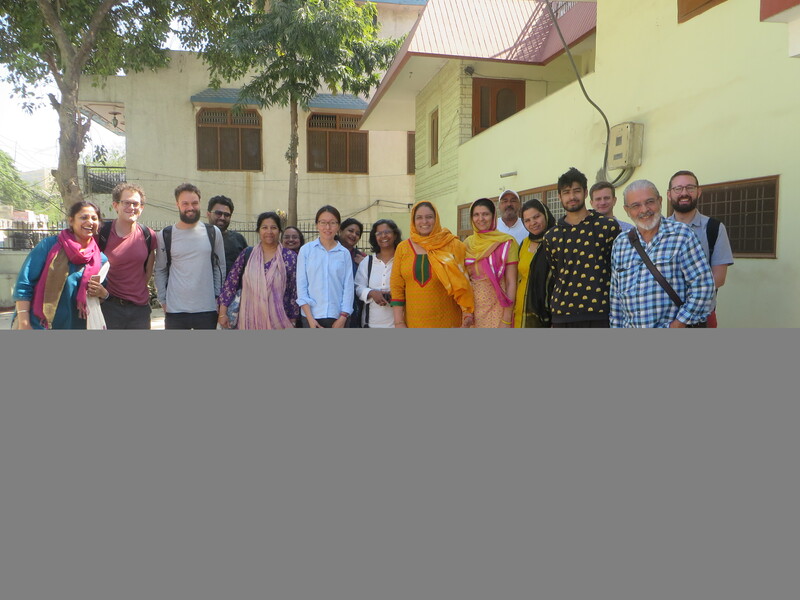 On the first day of the workshop, a day-long tour of Delhi’s suburb, Gurgaon was organized. On the second and third day, sixteen papers were presented. The papers focused on the new and changing forms of peripheral urbanization in the agrarian-urban hinterlands of eight cities in South Asia, including Bangalore, Chennai, Delhi, Dhaka, Hyderabad, Karachi, Kathmandu, Kolkata, and Mumbai. In keeping with the mandate of the MCRI, seven different panels interrogated the reach and valence of categories like rural, urban, and suburban in the South Asian context and examined how the transformations in the agro-pastoral hinterlands offer a critical vantage point for understanding sub-urbanization in South Asia. Some of the key themes and questions that emerged during the conference were: the new regimes of land and property, changing nature of work and livelihood, the shifts in sense of place and subjectivity, the practices and politics of exclusion and belonging that are taking shape in this political, spatial, and economic conjuncture. The workshop was very well attended and attracted local students, faculty members, and researchers and urban policy makers. At the round-table session at the end of the workshop, it was decided that proceedings will be submitted for publication in a South Asian journal. The full workshop program can be downloaded here.